Donna Sheridan has been trying to finish her sentences with simple full stops instead of her usual forced jollity, but worries that she sounds like a robot with severe depression instead. 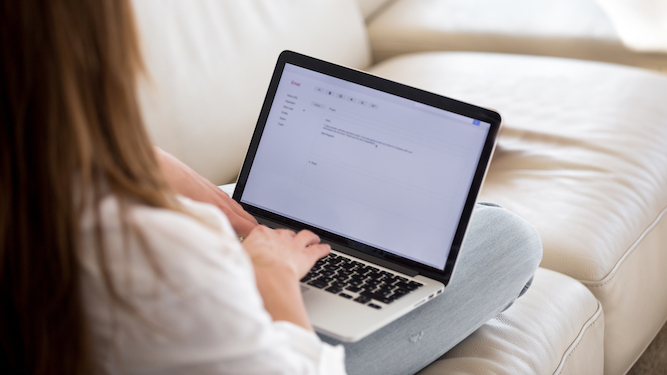 She said: “In real life I’m not an excitable idiot who feels the need to shriek mundane information as if it’s life-enhancingly joyful, and yet that’s exactly how I email. “Even at work I add exclamation marks to ‘Hope you’re well! !’ because otherwise it feels like I’m writing ‘You most likely have a terminal illness’. “Surely I can convey a positive, optimistic tone without a punctuation crutch, but no. So I slather them on and sound like the kind of brittle-eyed hysteric who’s still a holiday rep at 40.